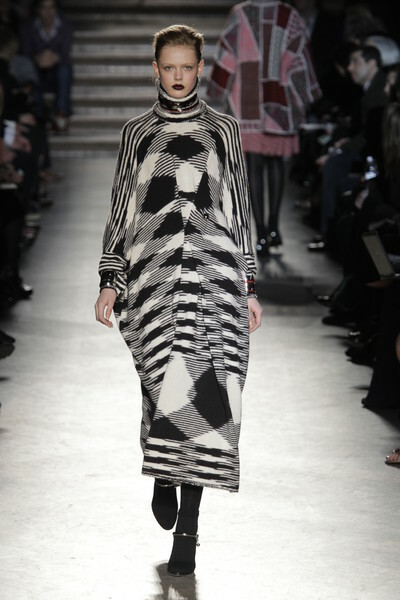 For next season D&G set the trend with their sporty, winter knitwear. They sent out jumpsuit, bodysuits, tops and turle necks with winter snowflake or reindeer print on the runway. Their models we’re heading to the après-ski and looked damn good after a day of stylishly skiing. Though a ski suit normally is not very flattering, D&G sure made it work. They even managed to present a sheer floral skirts with a knitted sweater as one outfit, without everybody disliking it. It was one of those grunge looks, we discussed earlier. 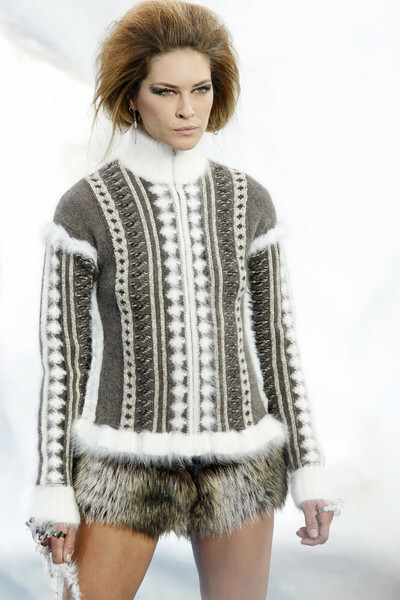 And there were more brands celebrating the cosy winter knitwear look. 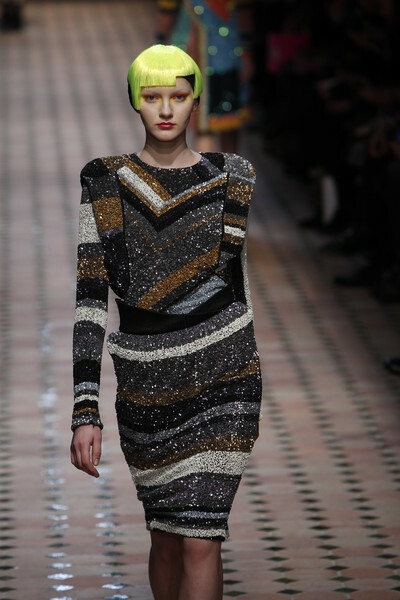 Chanel, Gaultier, Marc Jacobs, Missoni and Rodarte all showed their own versions for this winter. It’s unbelievable how these sweaters can become so popular in such a short period of time. I remember seeing my parents wearing them on photos from 25 years ago and finding them horrofic. 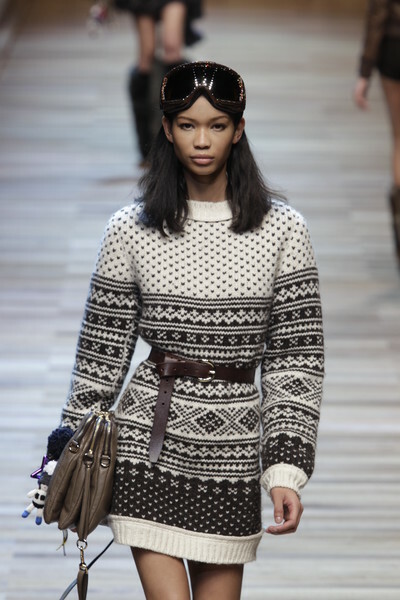 Now a sweater a la D&G is on my musthave list for this winter. Dit is wel wat voor mij, erg leuk!